On Sunday 11th June 2017 hundreds of farms across the UK will throw open their gates to welcome the public and showcase the fascinating world of farming. As well as being a fun and informative day out for all the family, LEAF Open Farm Sunday also gives visitors the opportunity to see first-hand all that farmers do and the impact their work has on all our lives. This so often misunderstood industry has a vital role in not only producing safe nutritious food, but also using the latest science and technology to farm sustainably – that means increasing production whilst managing the environment for wildlife and enhancing our natural resources for generations to come. 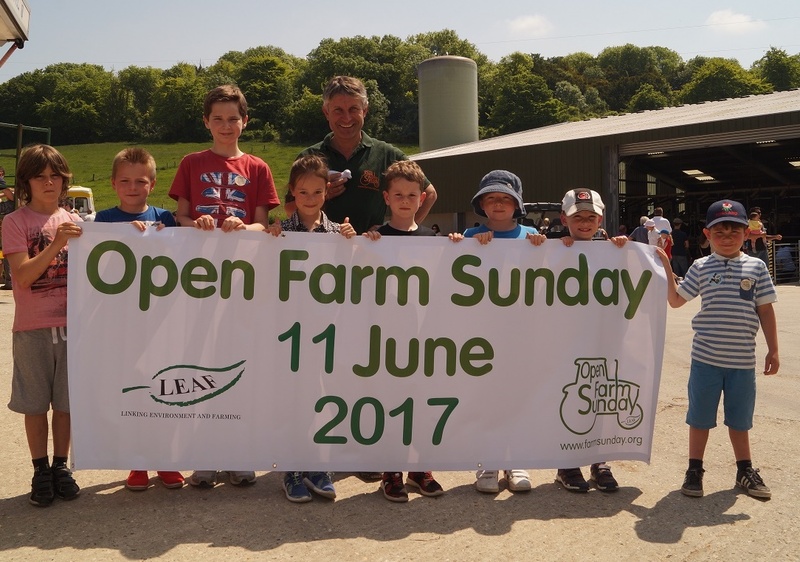 Since the first Open Farm Sunday in 2006 over 1.8m people have visited a LEAF Open Farm Sunday event. This year, farms across the country, from Cornwall to Orkney, will provide young and old with an opportunity to see farming in action and learn more about the work farmers are so proud to do. The mostly free events will offer a range of activities from tractor trailer rides, farm walks and bug hunts, to feeding lambs, sheep shearing and milking demonstrations. The technology and science behind farming and food production will also be a focus; providing visitors with a fascinating insight into the world of farming. So circle the date in your diary, visit www.farmsunday.org to find your local open farm, pull on your wellies and get set to discover the world of farming!